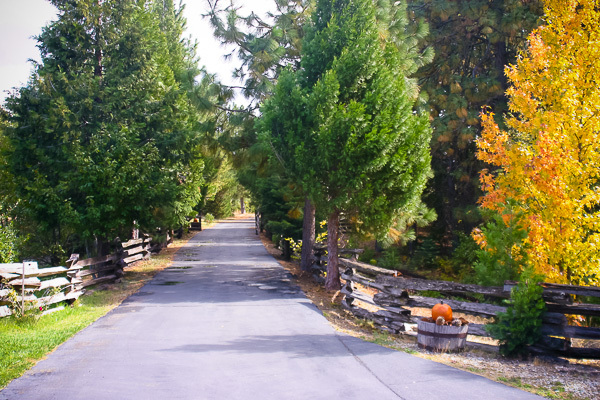 Following the historic Siskiyou Trail and the very modern Interstate 5, and Mt. Shasta is easily accessible via car. 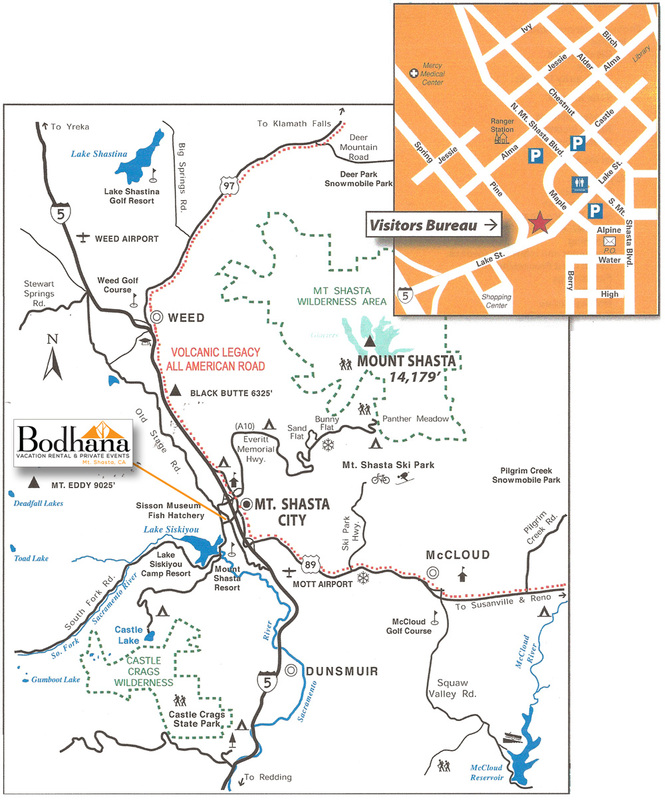 With a throw-back to railroad glory days that expanded much access to the Western states, one can still take an over-night Amtrak railcar from the San Francisco Bay Area to downtown Dunsmuir, only 10 miles south of Bodhana Shasta! Private Airplanes can fly into Mott Airport (FAA Identifier: 1O6), and Weed Airport (FAA Identifier O46). Amtrak's Coast Starlight (in route from Los Angeles, CA to Seattle, WA) stops in Dunsmuir, CA, the historic railroad town, which is only 10 minutes away. Drive from the San Francisco Bay Area (4 hours), Portland, OR (5 hours), Seattle, WA (9 hours), or Los Angeles, CA (9 hours). 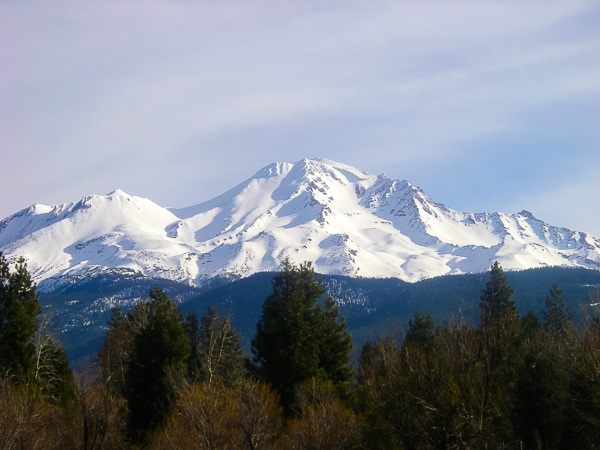 "When I first caught sight of Shasta, I was 50 miles away and afoot, alone and weary. Yet my blood turned to wine, and I have not been weary since."